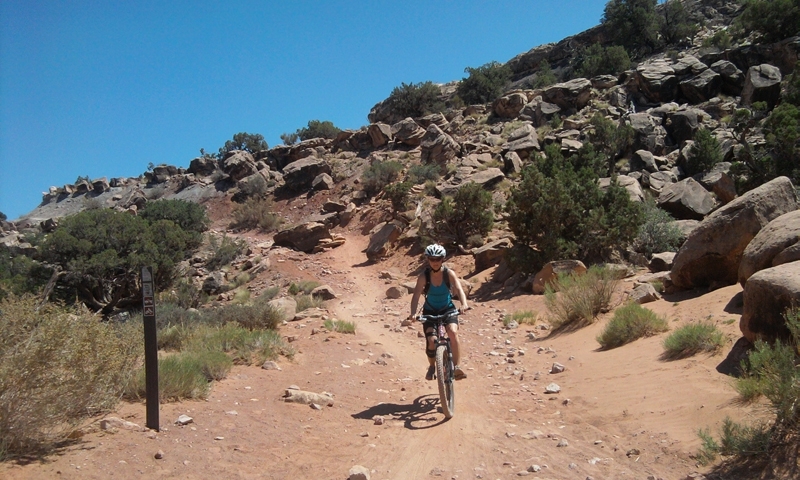 The Klondike Bluff trail system is the northern most trail network in Moab, making it a great ride either on your way to or from Moab. It has a little bit of everything. Beginners will love the Beginner Loop while those with a little more experience will have fun on Dino-Flow. Intermediate/Expert riders will have a blast on the entire loop! The most common loop out here is the Outer Loop Trail and that is what we'll describe here. Other loop options like the Beginner Loop are easy to find and follow. The Outer Loop combines the best of the intermediate trails in the area for a fun combination of slickrock and singletrack. Start at the north Klondike Bluff parking area and immediately ride up Mega Steps. It is uphill the whole way but follows a gradual grade. The terrain is mostly slickrock and it is slow going. At the top enjoy views in all directions and follow the plateau on smooth singletrack to Baby Steps 4x4 trail. You can open it up a bit here until you run into Little Salty where you'll need to keep watch for UFO on the left. UFO is bouncy and fun as it winds around canyons and interesting rock formations ... keep watch for UFO rock! UFO intersects with Baby Steps Singletrack for some up and down flowing trail before running back into Baby Steps Loop. Follow Baby Steps to Dino-Flow and head all the way back to the base of Mega Steps and your car. Distance: Anywhere from 4 to 17 miles, depending on what loops you link together. Average Time: 1 to 3 hours. Elevation Gain: 200 feet (Beginner Loop) to 1355 feet (Outer Loop). Trailhead: There are 2 trailheads for this area (North and South). The North Trailhead is more popular with mountain bikers but either is fine. From Moab, head north on Hwy 191. 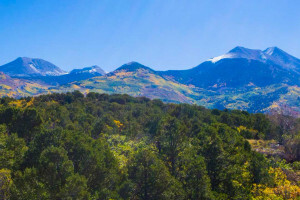 From where the road crosses the Colorado River, clock 15 miles to Klondike Road (the southern trailhead) or continue for another 6.5 miles north to a road that heads east (the northern trailhead). 1.2 miles from the highway you'll see your first parking area (for the Beginner Loop). The road also forks just past here. Take the right fork and drive for another .8 miles to the Mega Steps parking area. There are so many trails and so many trailheads out here, make sure to have a map of the area. 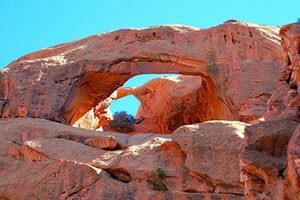 These trails are so far north of Moab that they are best enjoyed either on your way to or from town.